Nathaniel Hunter is a loner. He has plenty of money, but prefers to live in the wilderness, his only friend a coal black wolf named Ghost. Hunter rescued Ghost when he was just a pup and raised him in the mountains, never interfering when the adult wolf needed to establish his dominance with wolf packs living near their home. Their continued relationship was one built out of love and respect, for both man and wolf. Raised in the mountains, not many around can track better than Hunter. With the black wolf by his side there aren’t many creatures able to escape Hunter’s eagle eye, or Ghost’s nose. 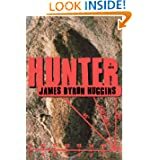 When Hunter is called in by the military to track a wild beast in the Arctic Circle, one that has destroyed two secret research facilities, and killed every person in it, he can’t turn them down. But he soon learns the creature is much more than a rogue grizzly or mountain lion, it is a half-human abomination, created by scientist who can no longer control it. It’s only reason for living is to kill every living creature around it, regardless of whether they are of any threat to him. And the creature is headed straight for a third facility. After that, it will move into more populated areas and who knew how many would die before they could get it stopped. Hunter doesn’t realize how dangerous the creature is when he first accepts the job to track it. He has a special group of military personal who are traveling with him. They believe they were sent in to kill the creature once Hunter gets them within range. But it proves to be much more cunning than anything Hunter has ever tried to track down, its instincts more along the lines of that of a tiger, more than capable of staying out of reach of their special high caliber sniper rifles. But then the beast turns the table on them. He is the hunter and now Nathaniel, with Ghost at his side, must pull out every trick he knows to keep him and the soldiers with him alive. I loved reading about the relationship built between Hunter and Ghost in this novel. The attention to detail, with description of the land and animals in it, made me feel as if I was a part of their group. There are many action scenes with the beast and this small group of people and wolf, keeping the tingling of excitement going almost nonstop from start to finish. This is the second time I’ve read this novel, one of those I knew the first time through I would enjoy again. I read this rather lengthy story in two days because I couldn’t force myself to put it down, even the second time through. There is a tendency to repeat wording over and over, using the same description in multiple fight scenes. Sometimes I found myself questioning Hunter’s ability to stay alive with a creature so fast, but they were slight irritations, or questions brought to mind, and I quickly moved past. The ending is also stretched out farther than I thought necessary. It’s the only reason I have to drop the score from a five to a four. Do I recommend it for those who like high tension in their novels? You bet. I have no doubt I’ll read my worn copy again in another couple of years. I plan to read Cain next by James Byron Huggins. Posted by Denna Holm on February 22, 2013 in Archives and tagged Horror, tension level, tracker, wilderness, Wolves.